An entrepreneurial outlook is a winning asset in today's economy where "flair and spirit" reign supreme, and every manager is expected to possess one. This module defines the latest skills and information needed to grow a venture from the spark of an idea to the technology-powered corporation of tomorrow and quotes shockingly real examples on how not to do it. ExpressExec is a unique 12 modular resource of current business practice. 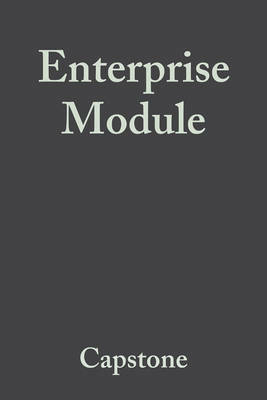 Each module contains 10 individual titles that combined cover all the key aspects of business practice globally today. Written by leading experts in their field and commissioned specifically for ExpressExec the knowledge imparted provides an executive with the tools and skills to increase their contribution to an organisation. Each title gives you the key concepts behind the subject and the techniques to implement the ideas effectively, together with lessons from benchmark companies and ideas from the world's smartest thinkers. Enterprise ExpressGoing GlobalE-BusinessCorporate VenturingAngel CapitalManaging GrowthExit StrategiesEntrepreneurial IndividualBusiness PlanningCreating an Entrepreneurial Organisation ExpressExec is a perfect learning solution for people who need to master the latest business thinking and practice quickly.